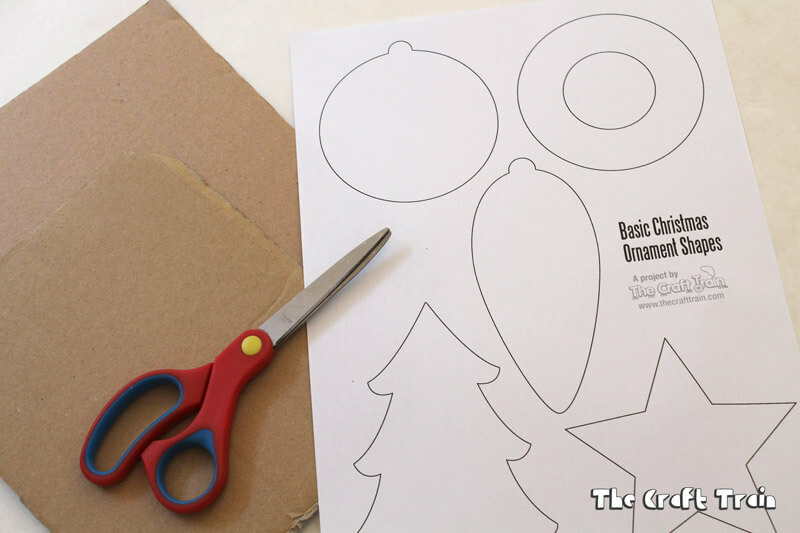 Here are some printable Christmas shapes which are perfect for making cardboard ornaments. 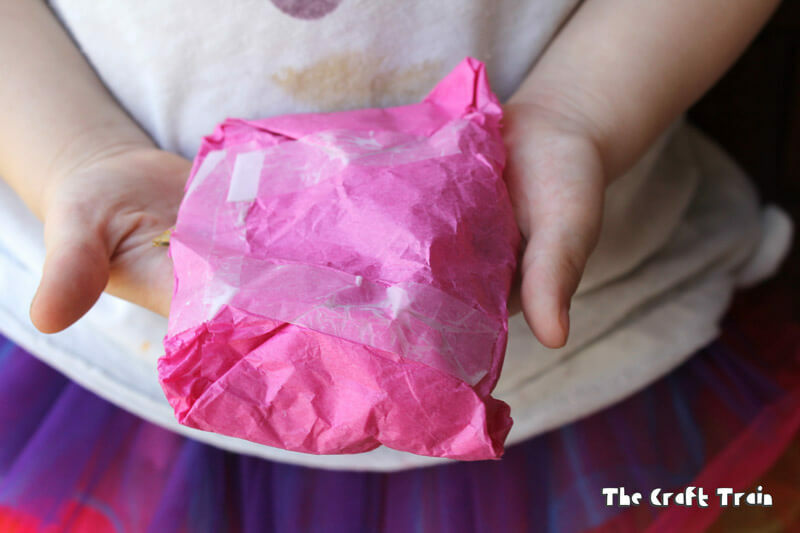 Simple, easy and fun! 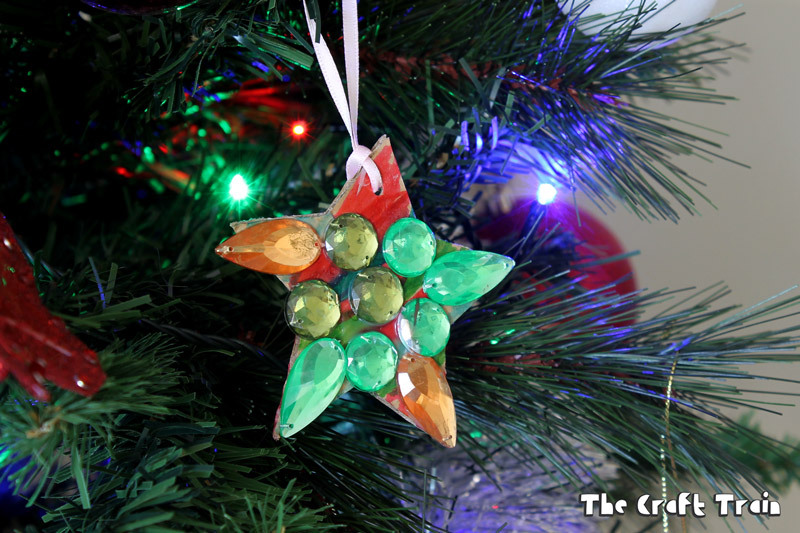 One thing I love about Christmas ornament crafts is how they bring a blast from the past to your tree every year. 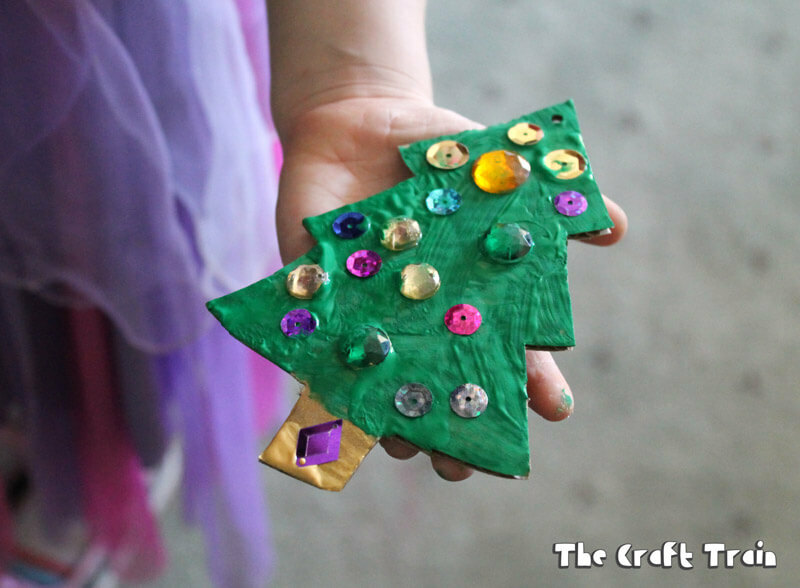 My girls and I have created lots of ornaments together over the years and although we don’t keep ALL of them, many make it permanently into the official “decorations box” and get pulled out year after year. 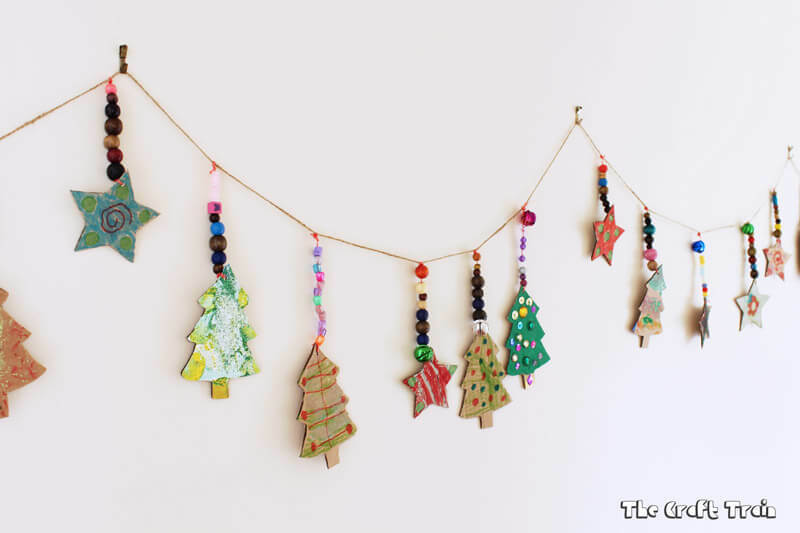 I love how they tell a creative story of how my kids have changed and grown over the years, and it never fails to make me smile when I hang them on the tree. Always I try to put them in the best spots, so everybody can see them. Those fancy little store-bought ornaments are boring in comparison so they always get hung close to the bottom or around the back against the wall where nobody can see them. Our tree may not be the most classy and elegant in the world, but it’s packed with memories and we love it! 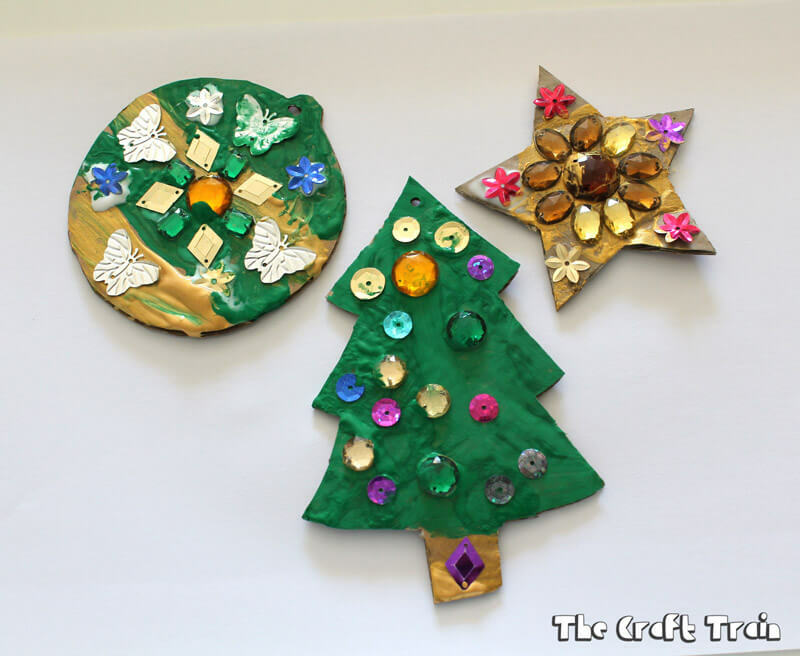 These adorable cardboard ornaments were made by my girls when they were in pre school (so 4 and 5 years old), and these are the original photos from our archives. 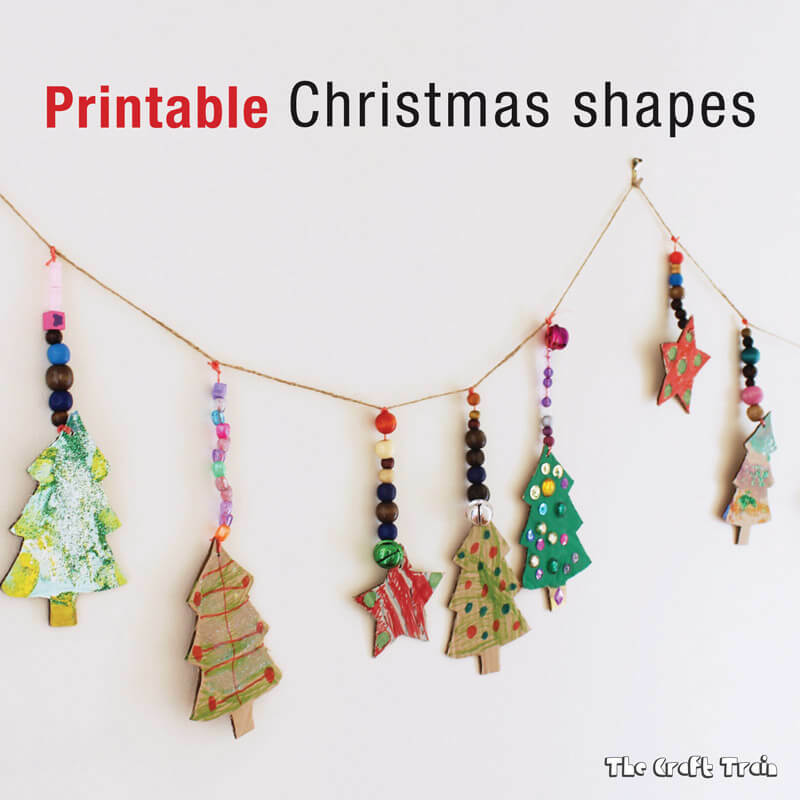 First print out the Christmas shapes template (enter your details into the form below and the printable will be delivered directly to your inbox). 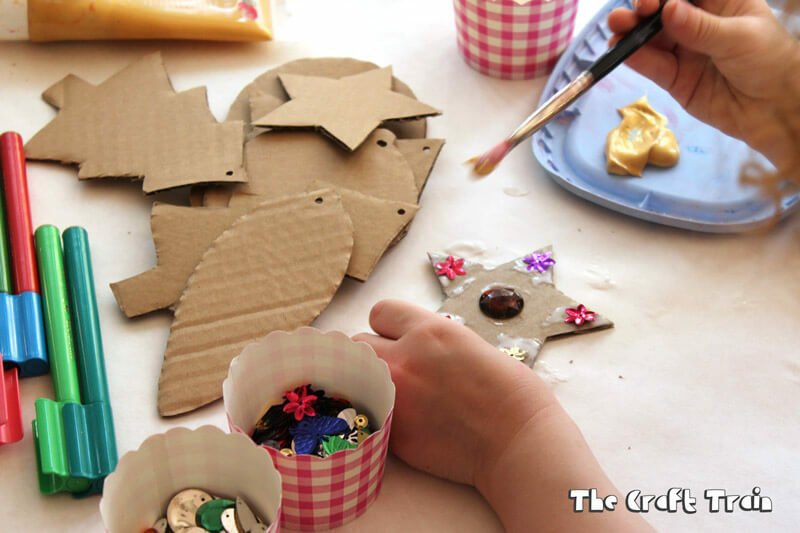 Trace the shapes onto cardboard and cut out, or alternatively stick the paper with shape yet to be cut out onto cardboard with a small square of double sided tape, then cut out the card at the same time you are cutting out the paper shape. To make the holes poke them in with a kitchen skewer. The way I set this out for the girls is what some people would call an “invitation to create”. 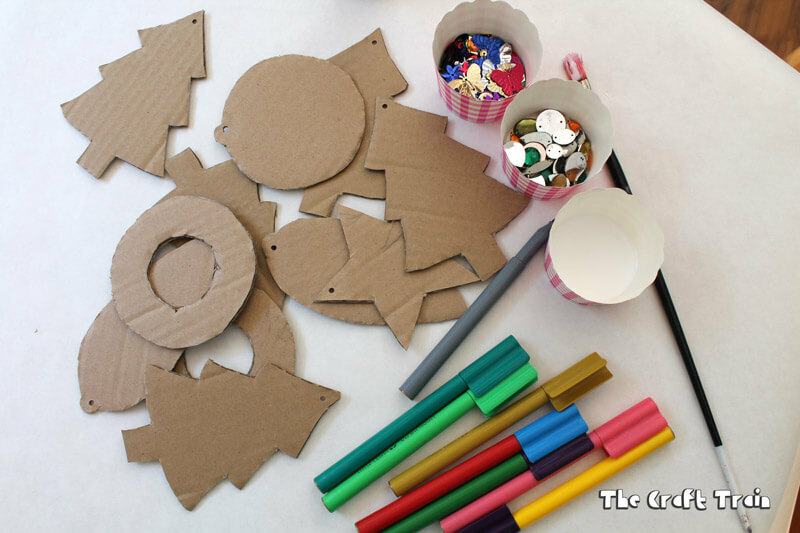 I set out a pile of cardboard shapes with some decorating items and let them go to town. 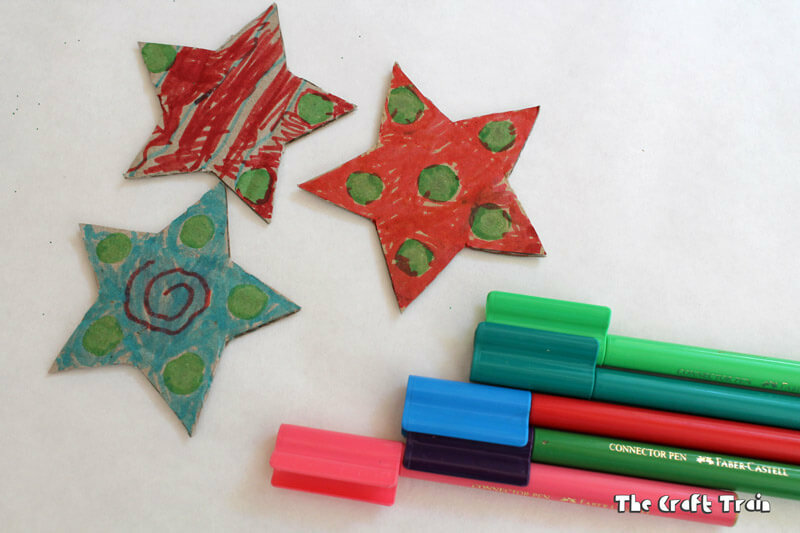 It’s totally up to you what items you use to decorate the shapes. 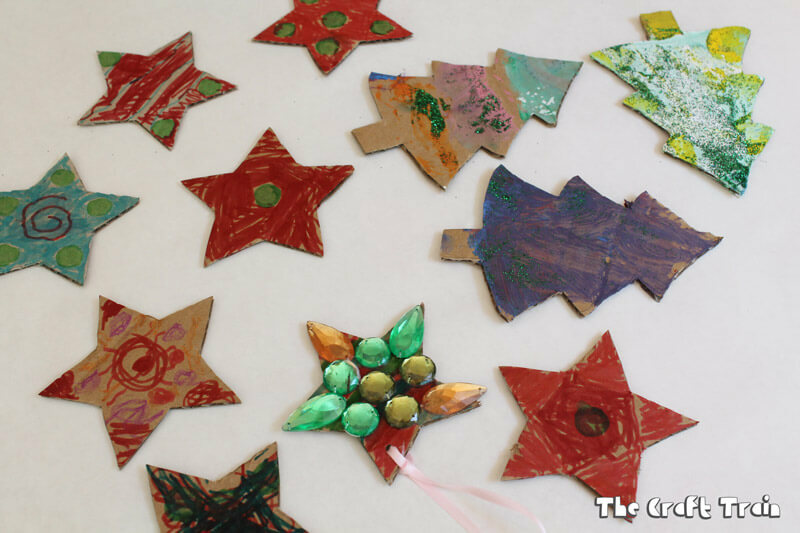 For more manageable mess simply use coloured markers, but my kids love a bit of sparkle so I added all kinds of glittery goodness to the table. I was totally blown away by the volume of shapes they wanted to decorate! In no time at all they’d finished the pile on the table and wanted me to make more shapes for them. The girls made so many we decided to make a garland with them, and also give a few of the extra-special ones away as kid-made gifts to Gran and Nanna. See, easy and fun! 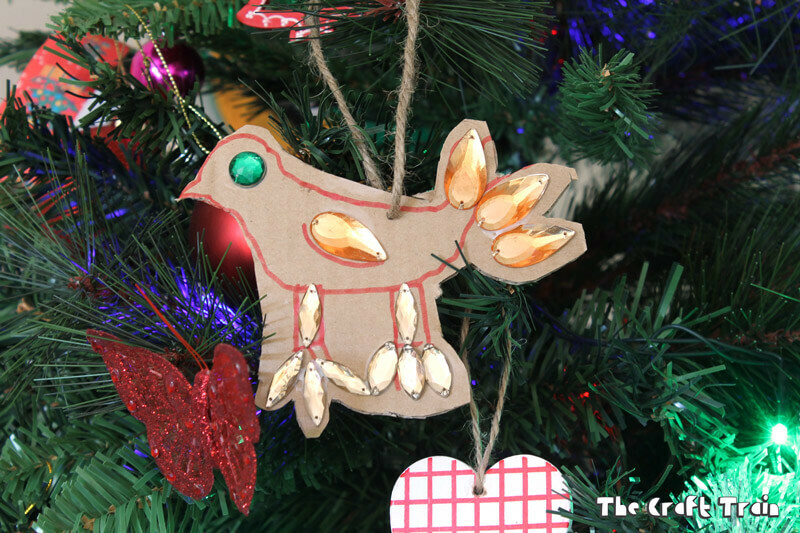 The crafting inspired my oldest daughter to design her own bird ornament (one of my absolute favourites in or decoration collection), as well as a 3-D reindeer. Seriously, how adorable is he? 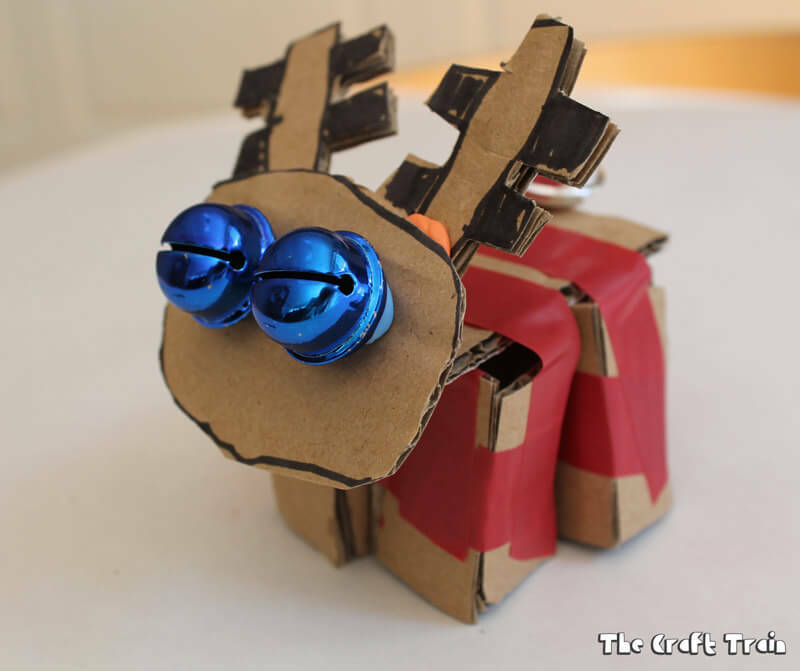 • These pasta and pipe cleaner reindeers are so cute! These will be great to have on hand for the grandies to do when they are visiting!! Thank you for sharing with me.